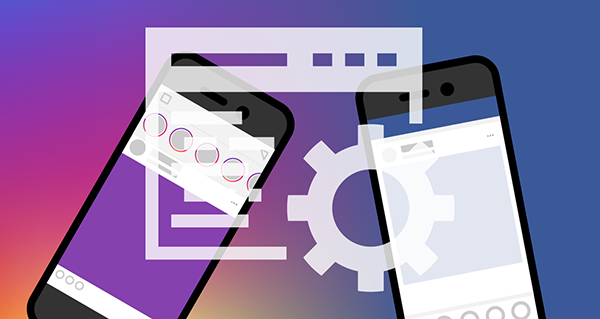 After the problems caused by the Cambridge Analytica case and the improper use of user data taken from Facebook, there has been widespread news this week about Instagram suddently throttling of access to its API. First of all, we must say this new regulation will not affect Websays functionality. Instagram gives every connected App a limit to how often it can request data and, with these new regulations, they have reduced this limit for all API users. So, if in the past someone could create an Instagram app and use a single user account to make 5,000 API requests per hour, now the limit is 200 request per hour and Instagram account. Nevertheless, we think this is a very reasonable change that has been made, as it brings Instagram in line with Facebook user rate limits and, moreover, it will impact those that collect data in a non-legitimate manner. At Websays, as we’ve always asked the users of our platform to authenticate their Instagram account, we’ve never come close to hitting our rate limit and means we still have enough capacity to continue crawling despite these changes. 2. Restriction of certain types of potentially personally identifiable data that could be used for illegitimate purposes. Regarding these second area of regulations, although these restrictions are again designed to target organizations harvesting massive amounts of personal data, some changes are applied to our platform that we must comment in the following lines. Firstly, we must highlight that we can still gather all of your owned post and associated metrics and we still have access to comment data. However, to continue to do this, we are required to make a small change to our platform architecture. If you have any doubt about this change, do not hesitate to consult your analyst. Regarding the non-owned channels (por instance, other brands or influencer’s channels), we are no longer able to receive data for this use case and, based on the statements from Instagram, we don’t expect this functionality to return. Moreover, it is no longer possible to see the avatar and the user name of the Instagram accounts that are not authenticated in Websays. If we talk about the hashtags, (in the query builder), we are still able to gather all posts for hashtags in the query builder despite the new data regulations. More details in our FAQs here.